Discussion in 'UTV Industry News & Product Reviews' started by JoeyD23, Jan 22, 2018. Santa Fe Spring, CA, Jan 7, 2017 – NavAtlas today announced that it has been named a CES 2018 Innovation Awards Honoree for Smart Mirror Command Center with off-road Navigation, model NA81MDVR. Products entered in this prestigious program are judged by a preeminent panel of independent industrial designers, independent engineers and members of the trade media to honor outstanding design and engineering in cutting edge consumer electronics products across 28 product categories. 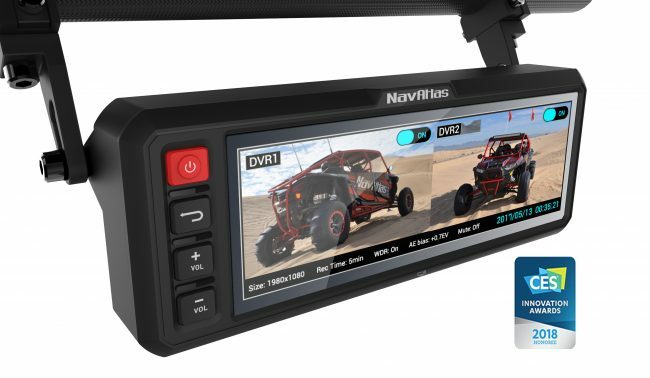 The NA81MDVR is the world’s first UTV Smart Mirror Command Center features an IP66 rated 8.1” 1600 x 480px touchscreen, and comprehensive built-in off-road navigation alongside simultaneous front and rear camera video recording and media connectivity for use in tough outdoor environments. Easy mounting and replacement of any rear-view mirrors allows the unit to be universally installed irrespective of UTV model, making it appeal to a wide UTV consumer base. 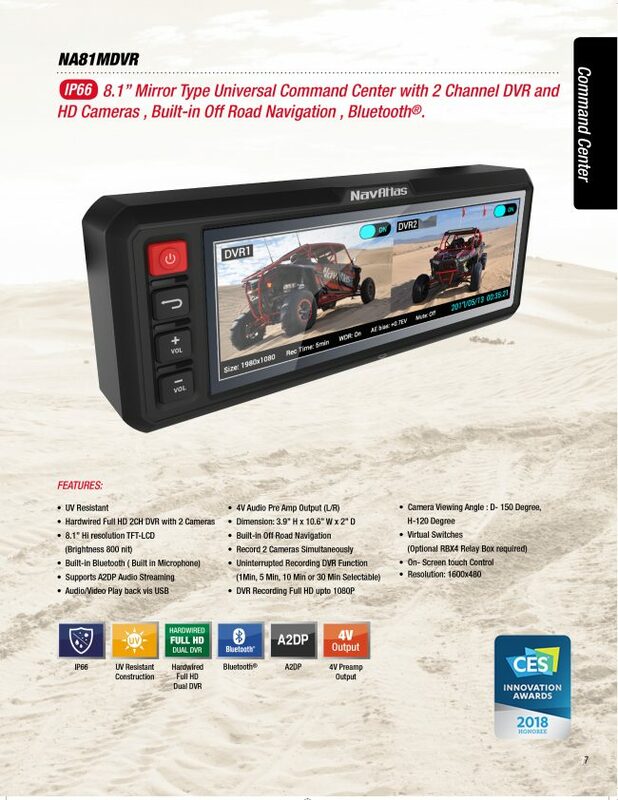 NavAtlas’ Smart Mirror Command Center with off-road Navigation, model NA81MDVR will be displayed at CES 2018, which runs January 9-12, 2018, in Las Vegas, Nevada. CES 2018 Innovation Honoree products are featured on LINK: https://www.ces.tech/Events-Experiences/Innovation-Awards-Program/Honorees.aspx#inline_content11463 Category: Vehicle Intelligence and Self- Driving Technology. The link will provide each product name, manufacturer information, description, photo and URL.